In this Dec. 11, 2006 file photo, a silicone gel breast implant is shown at Mentor Corp., a subsidiary of Johnson & Johnson, in Irving, Texas. 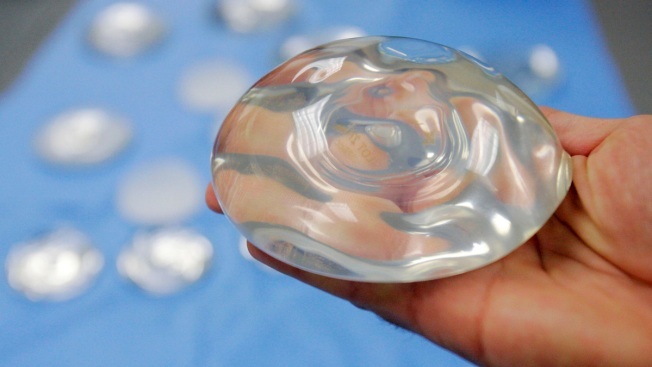 Less than a week before a major hearing on breast implant safety, the FDA issued two warning letters to implant manufacturers, citing their failure to do proper safety studies. The letters sent to Mentor and Sientra warned that certain implants could be pulled off the market if the companies didn’t fulfill the agency’s requirements, which ask that manufacturers continue safety studies even after the devices are approved. "Post-approval requirements are critical to ensuring the safety and effectiveness of the medical products we regulate and we'll continue to hold manufacturers accountable when they fail to fulfill these obligations," FDA Commissioner Dr. Scott Gottlieb said in a statement. According to the letters, Mentor failed to enroll enough people in these studies. Sientra had poor follow-up rates.